The Duluth stream watersheds cover about 152 square miles of area, and over half (56%) is outside of the city of Duluth. The watersheds cross two counties, Carlton (for just a piece of the Mission Creek watershed), and St. Louis. Three cities and 7 townships contain parts of these watersheds as well. 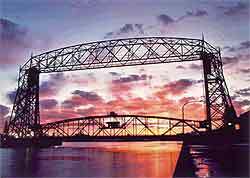 Duluth itself covers about 65 square miles, all, of course, within the Duluth stream watersheds. The next largest area is in Rice Lake Township, which covers about 20 square miles of the Duluth stream watersheds. The two other cities are Hermantown and Proctor, which contain about 9 and 3 square miles of these watersheds, respectively. 29 of Duluth's streams originate/have their headwaters in areas outside of Duluth, including all of the trout streams. Duluth is downstream from all of these other cities and townships. Several of the watersheds cross numerous political boundaries. The Lester River crosses four townships before reaching Duluth. Kingsbury Creek starts in Hermantown, flows through Midway Township, past downtown Proctor, and then finally into Duluth. Duluth is a port town on the shores of Lake Superior. It offers 42 named streams in the city limits, many with trails along their corridors. Cloquet became a city in 1904. Today about 11,000 people call it home on the banks of the St Louis River just off Interstate 35, about a half hour west and south of Duluth. Often referred to as the City of Wood, this colloquial name reflects the city's three major employers that produce a variety of wood products. Most of Hermantown (63%) is drained by the Midway River and its branch, Rocky Run. All of Hermantown drains into the St. Louis River, part through the Cloquet River to the north, part through the Midway River, and part through the streams draining through Duluth: Miller, Merritt, Keene, and Kingsbury Creeks. Hermantown contains significant portions of these Duluth Streams. 60% of the Keene Cr watershed, 31% of the Kingsbury Watershed, 14% of Merritt Cr, and 23% of Miller Creek are within Hermantown. Proctor contains two watersheds: Kingsbury Creek, covering about 2/3rds of the town, and Knowlton Creek, covering the southern 1/3rd of town. Proctor contains a significant portion of both of these watersheds, as well, with about one quarter of the entire Kingsbury Creek watershed located within the town of Proctor, and 40% of the Knowlton Creek watershed within the town. City of Rice Lake lies astride Rice Lake Rd. and Martin Rd just north of Duluth's eastern neighborhoods between Canosia and Lakewood Townships. It has a population of over 4100 and seeks to continue as a friendly, quiet, family-oriented community, and is rich in streams and wetlands. The upper portion of Amity Creek flows through the city. Located on the North Shore of Lake Superior, half way up the northshore between Duluth and Two Harbors. Its website accesses its comprehensive land use plan, current zoning ordinances and links to other activities. 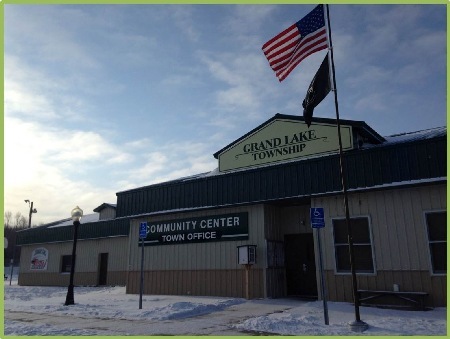 Grand Lake Township was established in 1895 with over 2700 residents. You may often hear it called "Twig," as the community focal point is on the corner of Highway 53 and Industrial Road. As Grand Lake Townships is a "branch of Duluth" as historically noted, only those residents with a P.O. Box at the Twig Store get a Twig address, otherwise the residents have a Saginaw or Duluth address. Midway Township, with a population of about 1500, is located east of Proctor and Duluth and just south of Hermantown. The township has many water resources including the Midway River, which leads to the St. Louis River. Mission, Stewart, Sargent & Kingsbury Creeks get their start in or flow through the township. Northwest of Duluth township, it has a population of 637 and an abundance of water sources in the form of wetlands, marshes, small lakes, and streams. The photo is of Normanna town hall and VFD Hall. Here are a few familiar photos of the area. LSC offers extensive pre-baccalaureate majors for students interested in transferring to senior educational institutions as well as over 75 certificate, diploma and degree programs in career/technical fields. The Continuing Education/Customized Training division collaborates extensively with area businesses and industry to design specialized opportunities for entry-level and advanced education. While typically offered in traditional classroom and lab settings, LSC also offers over 150 courses in an individualized learning format, through interactive television, and through the Internet. The University of Minnesota Duluth (UMD) is a comprehensive regional university offering 12 bachelor's degrees in 75 majors, and graduate programs in 20 different fields. It's central campus consists of more than 50 buildings on 244 acres overlooking Lake Superior and also has more than 10 remote sites around Duluth and northeastern Minnesota. During the school year UMD could be considered the third largest city in northeastern Minnesota. The University of Minnesota is considered a municipality and has its own police departments, building code office, and storm water pollution prevention programs. The University of Wisconsin-Superior traces its roots to 1893, when Wisconsin legislators established a school in Superior to train teachers. Now they offer more than 30 undergraduate majors -- solid academic programs such as accounting, teacher education and biology, and innovative programs such as legal studies, art therapy, and transportation and logistics management. Their respected Graduate Studies program offers advanced degrees in teacher education and administration, counseling, visual arts and communicating arts.